Plenum meetings set to begin on Monday; Meretz MK Horowitz forms first new caucus to boost ties with neighboring states. The Knesset will begin work again next week after a temporary Knesset House Committee was formed to allow lawmakers to get back to business. 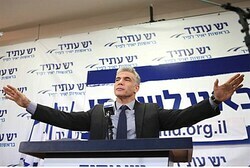 The Cabinet, today, unanimously approved the proposal to hold elections for the 19th Knesset on 22 January 2013.